Didn’t your mother tell you never to play with your food? You can throw that advice out the window should you wish to accept the challenge that is Food Fight. 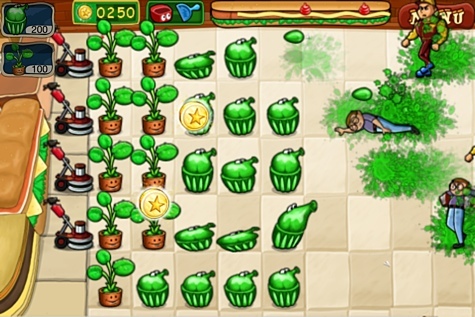 In its raw form Food Fight is a game that borrows many elements from the wildly popular Plants Vs. Zombies. Its gameplay is strikingly familiar to its competition, but if you are looking for a new series of characters and weaponry then this may appeal to you. 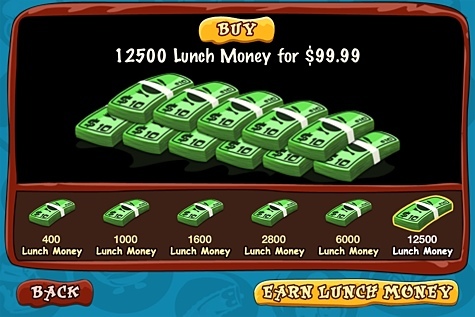 Your aim is to control the busy lunch rush in a virtual cafeteria. Hordes of hungry humans will attack. The only way to fend them off is with the use of over 20 weapons that include a Jello Shot, Bubble Gum Pop, and a Rice Crispy Wall. The animations attached to your weapons are cute and help present a true character to the humble jello mold. You will need to build your defenses by initially planting mint money plants. The virtual money you collect from the mint plants can then be used to deploy more weapons. If all else fails the electric sweepers will kick into action and annihilate all enemies within their respective gridline. A handy aspect to the game is the ability to remove weapons previously placed in the game area. This allows you to quickly change to a different weapon that will be better suited to the oncoming opponents. Your enemies consist of cheerleaders, football players, basketball players, nerds, and the always present zombie enemy. Each enemy has a different skill and defense level. Cheerleaders for instance will cartwheel over your defense whilst the football team will use its sheer force to trample most of your defense in a single swoop. It is your job to pick the correct combination of weapons to eliminate them. That is difficult as there are a limited number of weapons available without an additional financial outlay. Despite over 20 weapons being included in the game you will only initially be able to use two of them. It is possible to play each individual level through to completion with the limited resources, and I did find it was actually a challenge to do this successfully. If you want to speed up the game process then in-app purchasing is essential. You can gain additional “lunch money” when you leave feedback or invite people to join. You will only receive 25 tokens upon each successful invite. This is not enough to buy a significant upgrade unless you have a lot of friends. Instead you will find yourself making additional in-app purchases and this is where the game falls apart by price gouging dedicated gamers. In-app purchases in this game range from US$0.99 to a ludicrous US$99.99. The game is addictive and I can easily see some gamers getting caught up in the excitement and spending too much money. I have never been a fan of in-app purchasing and this game clarifies my distaste for this type of game expansion. I strongly believe developers have the right to make money from their creations but they should do so appropriately. Charging US$0.99 upfront and having no in-app purchase higher than US$4.99 would be a welcome improvement and solidify the game as a true competitor in its field. 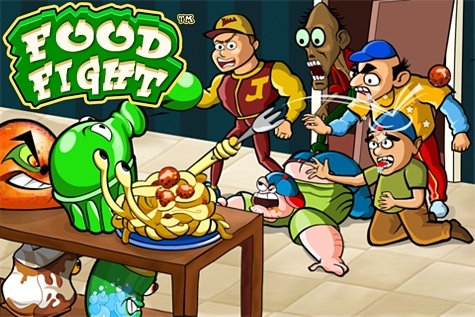 Overall the game is enjoyable, fun, and is a good time filler when you have a spare few minutes. The big disappointment is the severe in-app purchasing requirements to fully immerse yourself in this game. Therefore, I am awarding this iPhone game a MyMac.com review rating of 5 out of a possible 10.